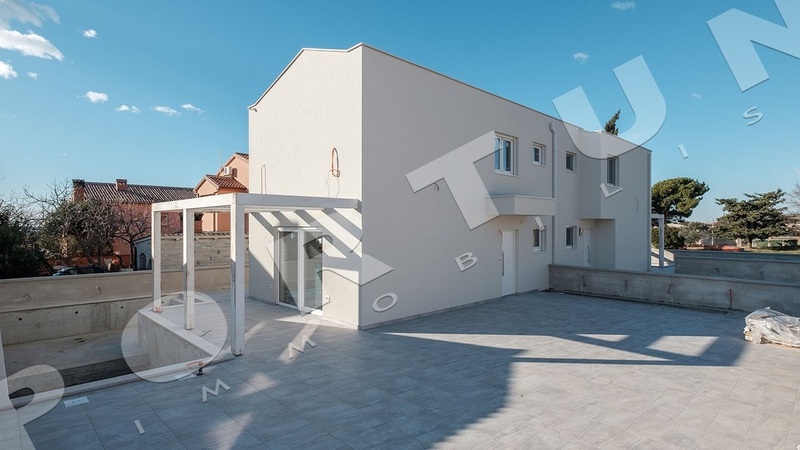 This modern house with pool measuring 85 sqm lies in an attractive spot near Fažana. The nearest beach is just 0,8 km away. An example of planned appearance. 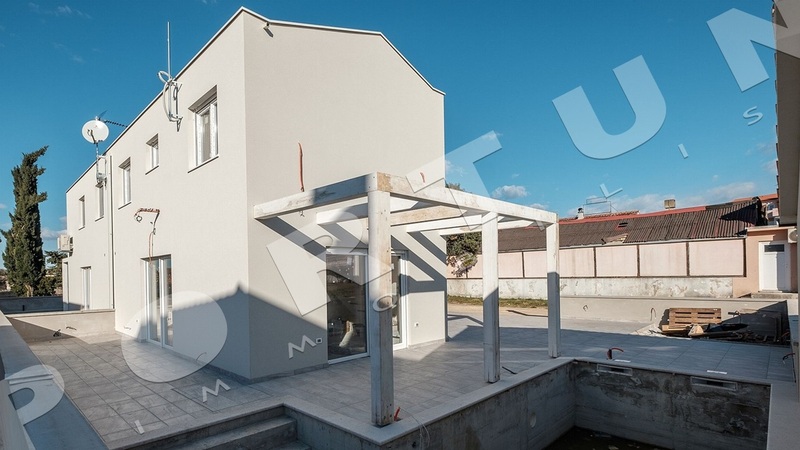 This modern house with pool, measuring 85 sqm, lies in an attractive spot near Fažana. Construction works on the house, measuring 85 sqm, have started in 2018. It is estimated for house to reach "turnkey" phase until April 2019. Asking price of the house refers to the described level of completion. 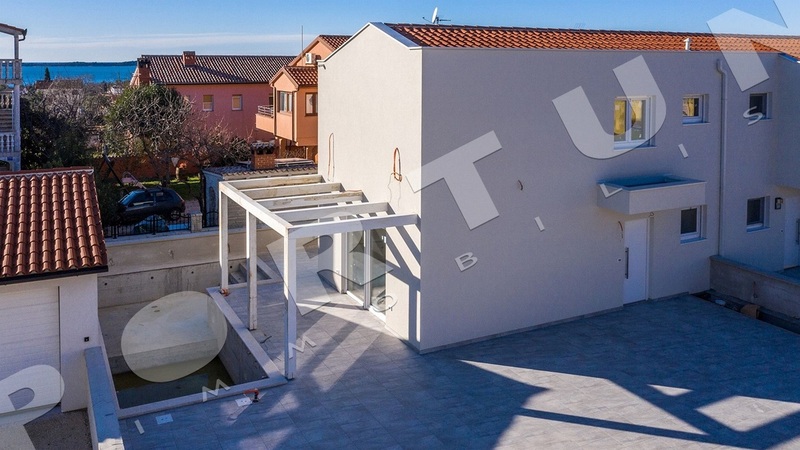 The total land area including the footprint of the house amounts to 244 sqm. - 24 km nature park Kamenjak is famous for its crystal clear see, hiking and cycling trails. 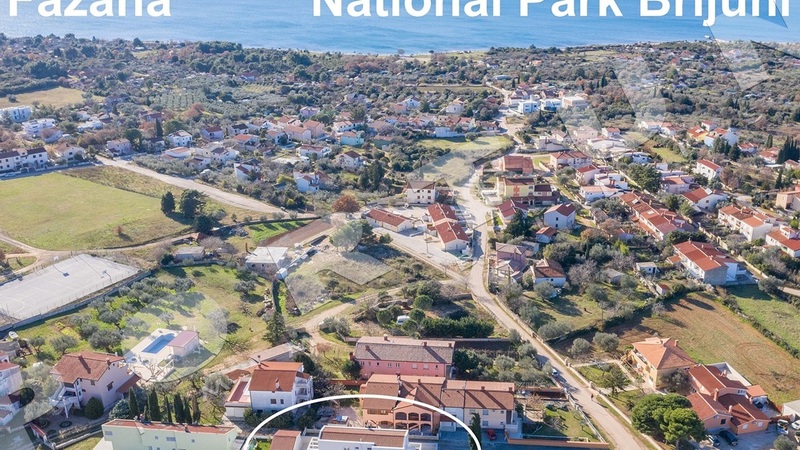 International airport Pula is 16 km and the nearest entrance to the highway is (Vodnjan) 6 km. Distance to other towns: Pula 11 km, Rovinj 29 km, Trieste 110 km, Ljubljana 194 km and Zagreb 258 km. 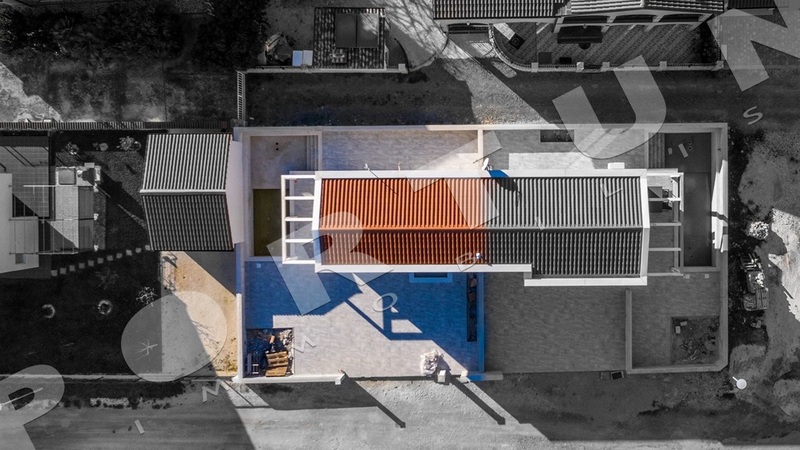 The house includes a ground floor measuring 51,3 sqm and a first floor measuring 33,47 sqm. The ground floor comprises a kitchen with dining room, a living room, a bathroom, a covered terrace and an utility room. The 1st floor comprises two bedrooms and a bathroom. The kitchen with dining room is facing southwest. The living room is facing southeast. 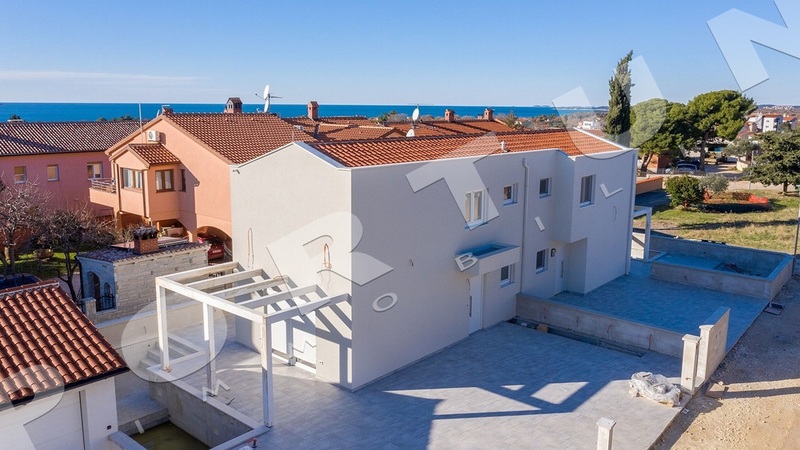 The yard includes a swimming pool 29 sqm and parking area. 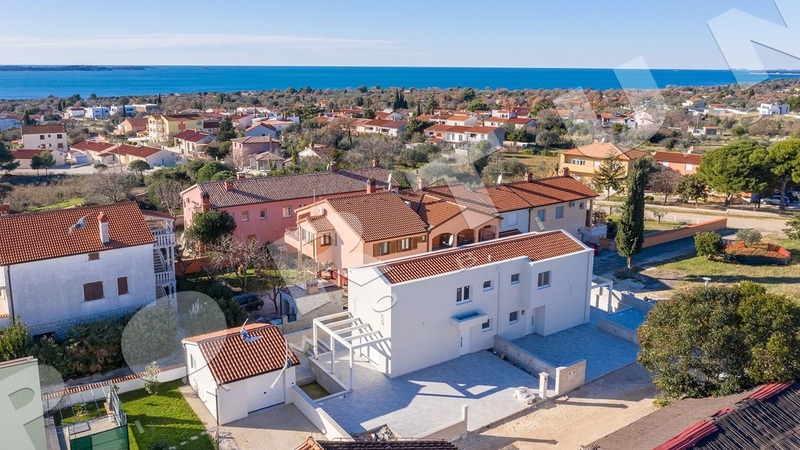 The total land area including the footprint of the house amounts to 244 sqm. The yard is enclosed by walls. 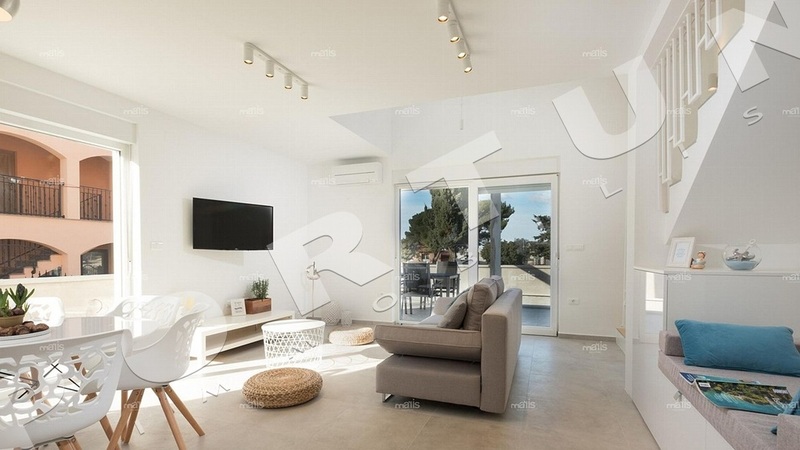 The house is fitted with inverter air conditioners (3) and electric underfloor heating. Joinery: double glazed PVC windows and balcony doors. Ceramic tiles are laid on the ground floor, while on the 1st floor is laid parquet flooring. The front yard provides two parking spaces. 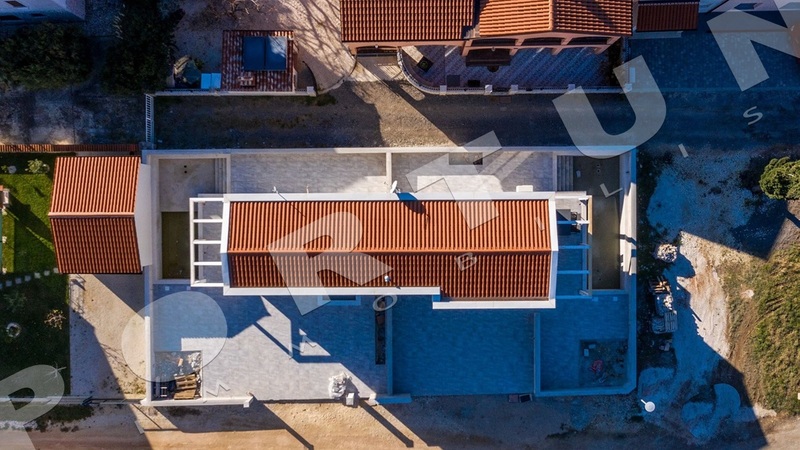 House can be reached by a gravel road, and the distance to the nearest paved road is 50 m. House is connected to the city sewage system. 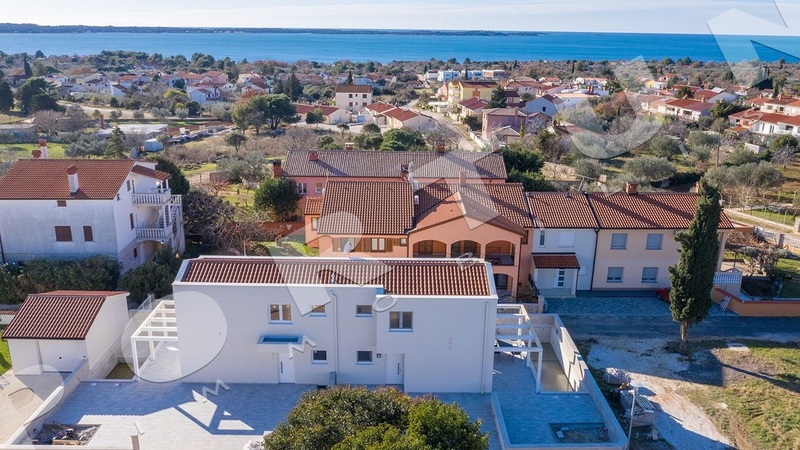 House has an electricity supply, a water supply and installations for the fixed telephone line.